Will you be speaking at a wedding soon? Does the idea fill you with excitement or fear? With pleasure or pain? For many people, speaking at the wedding of a friend or family member is the first time they’ve ever spoken in public. For some people, it’ll be the only time. The occasion is happy but the task of the speaker can be terrifying. Psychologists say that the fear of public speaking is one of the top three phobias for most people. They say that many people fear it more than dying. If that’s you, and the task is worrying, get in touch with me. As a coach & mentor, I help speakers – in fact performers of all kinds – who need to build and maintain a high level of confidence for their ‘big day’. THIS COACHING: WHO’S IT FOR, EXACTLY? Speakers, actors, musicians, educators. But especially speakers. Face-to-face sessions, if you’re based in London or Bristol; otherwise over Skype. Four-month programmes, incorporating up to six sessions plus e-mail support; or single sessions (45-60 minutes) if your need is short-term; or anything in between. My 1:1 coaching / mentoring sessions utilise my training as a coach, my knowledge of neurolinguistic programming (NLP) tools and the DISC system of personality profiling … allied to my own years of performing experience. Send me an e-mail via the contact form or email me for details of packages available, pricing etc. DO YOU HAVE ANY BOOKS ON THE SUBJECT? I’m working a series of books for speakers. The first one, about speaking at weddings, has been published: see the link in the sidebar. AND WHAT DO YOUR CLIENTS SAY? 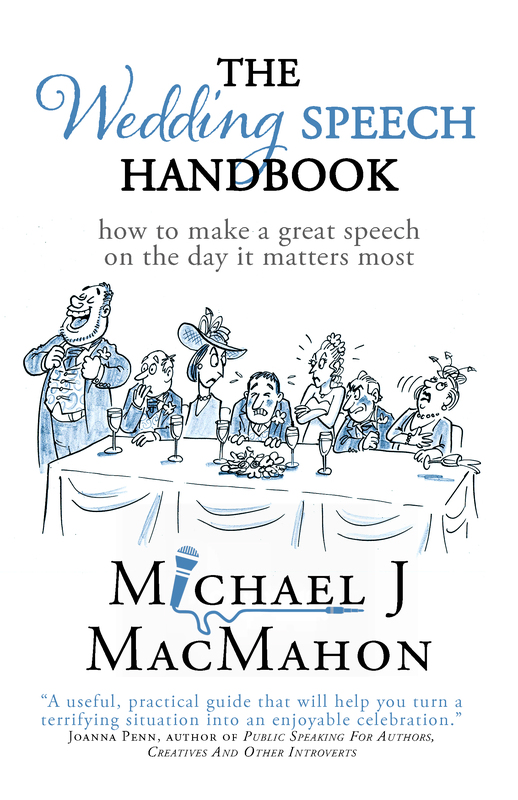 “If you need to give the most important speech of your life and need guidance and structure, then Michael MacMahon is the man who can allow you to deliver what you have hoped for. “My speech was as ‘The Father of the Bride’. To say I was nervous and out of my depth is a serious understatement. “Crafting a speech to deliver at a national conference, it dawned on me how far I’d come since I first started coaching with Michael MacMahon. I had, during 6 sessions, become able to focus on the task knowing I could complete it with aplomb. I was now able to recognise the success I had, not just to look at how far I still had to travel, to separate my to-do list into urgent and important jobs and not spend too much time looking at the frogs I had to eat! 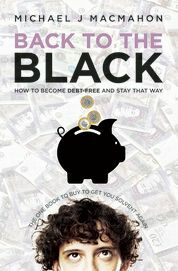 “Michael had listened to me carefully, remembering from one session to the next the vital points I had made. He had thought hard about what would benefit me to talk through and directed me kindly to what made the difference. He made me laugh unfailingly with tiny anecdotes which illustrated the insightful discoveries I made weekly under his careful coaching. “I first met Michael my life coach (although we did not know it then) at a two day seminar hosted by the Coaching Academy in Bristol, when I was considering becoming a life coach. We exchanged our email addresses and I am so glad we did. “Due to a promotion at work I decided I did not have the time to commit to life coaching yet in my career but after meeting with Michael I was overwhelmed by his ability to listen and empathise with my life story, so a few months later I decided to contact him regarding some help and advice in writing my memoir. “That was when he informed me that he was considering taking up the coaching course with the Coaching Academy and could offer me six free sessions as part of his training. “I was over the moon and our journey started just over three months ago and I am truly amazed as to what we’ve managed to achieve in just six sessions of coaching with Michael. “Our sessions were very informative with clear achievable goal setting between us, it has enabled me to focus on my future and empower me to achieve my dreams. “The coaching sessions with Michael not only increased my desire to self-write and publish my memoir but it has also helped me in so many other unexpected areas of my life., inspiring me to overcome the nerves of public speaking and give me the knowledge to support my colleagues with the importance of setting goals themselves. “At the end of each session Michael would encourage me to rate my confidence in achieving my set goals from 1 to 10 and I feel this increased my desire to complete each goal I set myself.